At the green building technology and alternative energy systems training center, students are being trained for the jobs and industries of the future. Participants are being prepared to work as skilled technicians who can install efficient heating and cooling systems and windows; retrofit homes to save electricity; and build and install solar panels, wind turbines, and other clean energy technologies. Energy House is equipped with vital tools for learning in large part because of investments by the state of Delaware and the U.S. Commerce Department’s Economic Development Administration (EDA) to respond to economic challenges the state faced with the closure of two auto production plants in 2008 and 2009. When General Motors’ Boxwood Road assembly plant in Wilmington and Chrysler’s assembly plant in Newark closed their doors, the number of jobs lost was estimated at the time to be more than 2,200, significant considering Delaware’s population is about 900,000. It was clear that auto workers needed to leverage their skills in other sectors. 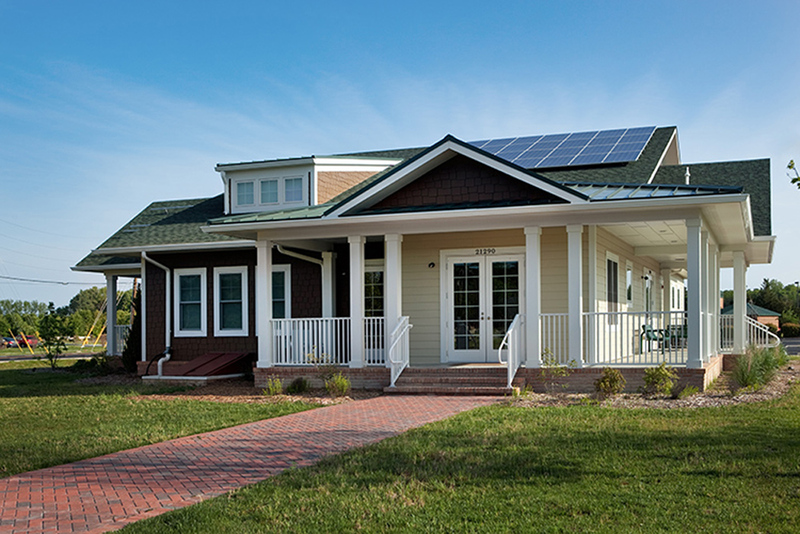 Development of the Energy House was an important collaboration for the state government, local leaders, Delaware Technical and Community College, and EDA. As a result of the joint investment, Delaware now has an outstanding resource where job seekers—from high school graduates, to career changers, to laid-off auto workers—can get the skills they need to thrive in the growing green technology sector. The Georgetown center is part of an integral statewide system that also includes facilities in Newark and Dover to support recovery efforts through long-term training and employment opportunities. The opportunities in the green technology industry are promising. A recent study by the Brooking Institution found that the sector employs about 2.7 million workers nationwide, and is experiencing healthy growth—adding about half a million jobs between 2003–2010, an annual growth rate of 3.4 percent. Median wages, according to the Brookings researchers, were 13 percent higher than median U.S. wages overall. And many of these so-called “green collar” jobs are available to skilled individuals with relatively little formal education. With federal and state support, Energy House is doing its part to get local workers trained and back to work. In addition to the standard array of living room, kitchen, bedroom, and household appliances, there are also two state-of-the-art classrooms, a conference room, and see-through wall galleries that demonstrate the technologies and materials used in the building’s construction. Cutting-edge green technologies—such as solar systems, wind power generation equipment, a living green roof, and geothermal options—are an integral part of the building’s construction. Auto communities across the country are exploring opportunities to enhance their capacity and compete in the global economy. New industries that offer comparable opportunities are rising, and with the right economic development pieces in place—be they job training facilities like Energy House, business incubators, or business parks—these communities can take advantage of the opportunities offered by new and growing industries. That is good news as workers, states, local municipalities, and EDA continue to work together to create an economy built to last and restore middles class security in former auto communities like those in Delaware.